We’re on week seven of the Trump Presidency. 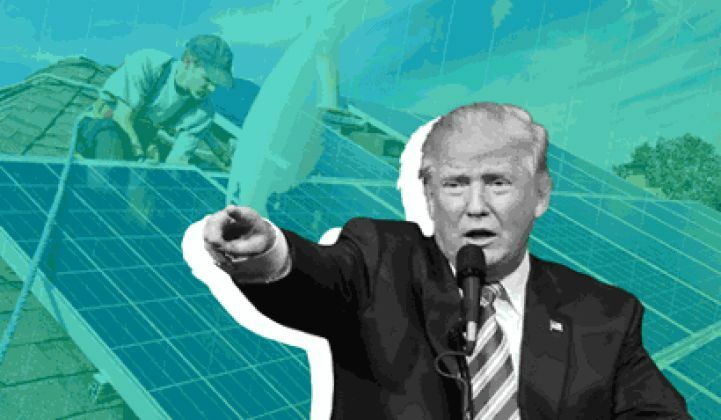 In the months since the election, we've been steadfast in our view that things are not as bad as they seem -- despite the contradictions and confrontations, clean energy will emerge largely unscathed. That may be true. But it’s also impossible to ignore how quickly Trump’s team has worked to unwind the country’s environmental policy. As more details emerge, it’s becoming clear that the White House is not interested in a traditional conservative approach to environmental protection or a thoughtful redesign of top-down regulations -- it is intent on burning them to the ground. In this week's show, we'll talk about the impending reversal of climate regulations, strange staffing changes, and across-the-board budget cuts. And then we’re going to shift over to some bellwether business activity in the solar industry. What does AES’ acquisition of sPower say about the health of America’s utility-scale solar sector? We’ll end with a discussion about why electricity prices in Ontario, Canada have skyrocketed. Who’s to blame?